So, it's no mystery that Google's Android operating system has really been a dominant force in mobile devices. So it shouldn't be a big surprise that they've finally been able to top Apple for number of apps in the Google Play Store. 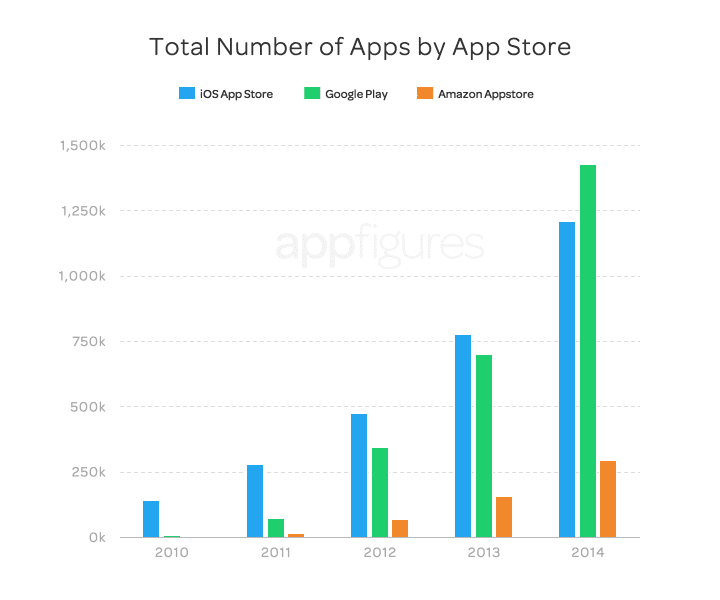 In a blog post by AppFigures we can see some data regarding how the 2 stack up over the years. 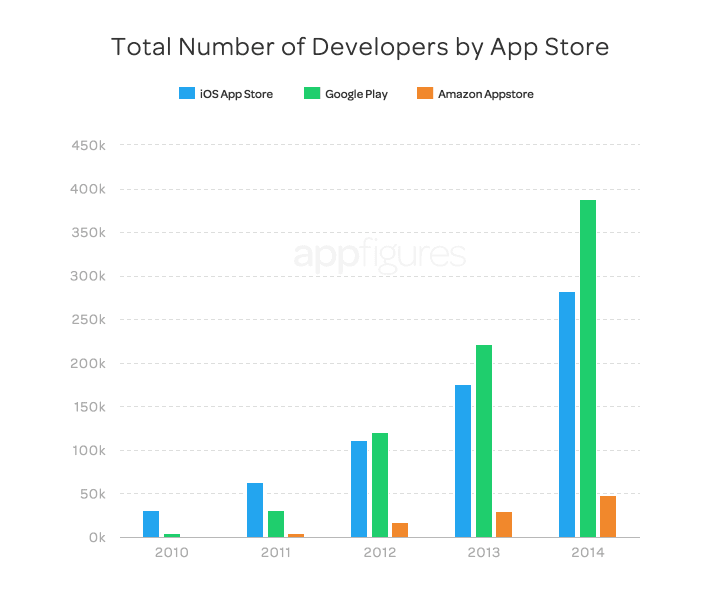 It's taken 4 years for it to happen, and there has always been huge struggles to get apps as often developers were lured to the Apple Appstore which had showcased lucrative money making options and high adoption rates. Even today you'll hear a lot about how developers on iOS make more money, and tout how the Google version has more potential for piracy and thus make less (Monument Valley just spoke up recently saying that only 5% of those that installed the game on Android were paid). Yet, it's growing even still. And the commanding lead they have on marketshare probably has something to do with that. 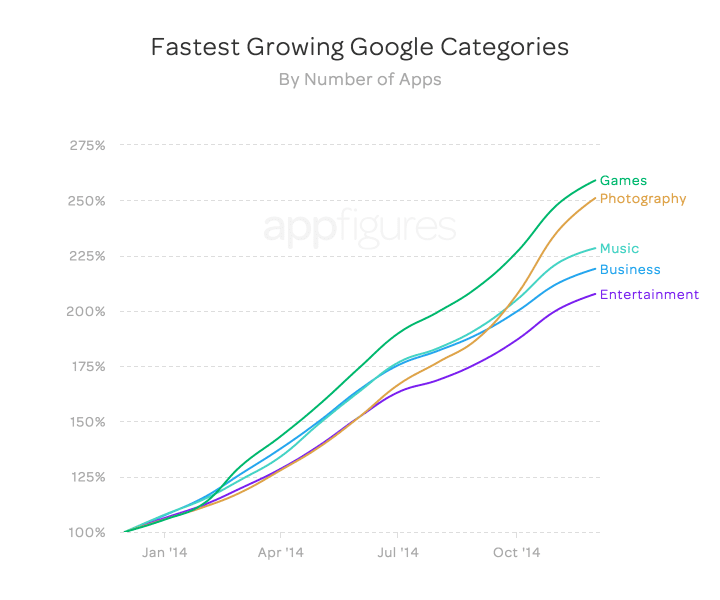 With more and more individuals carrying an Android device it's harder to ignore the platform. There still is the iOS first mentality for major developers (you'll often see big name apps released on iOS first, and then later on we'll hear "X app makes its way to the Google Play Store after being so successful on iOS"... or at least, that's how I read it). So what do these stats tell you? 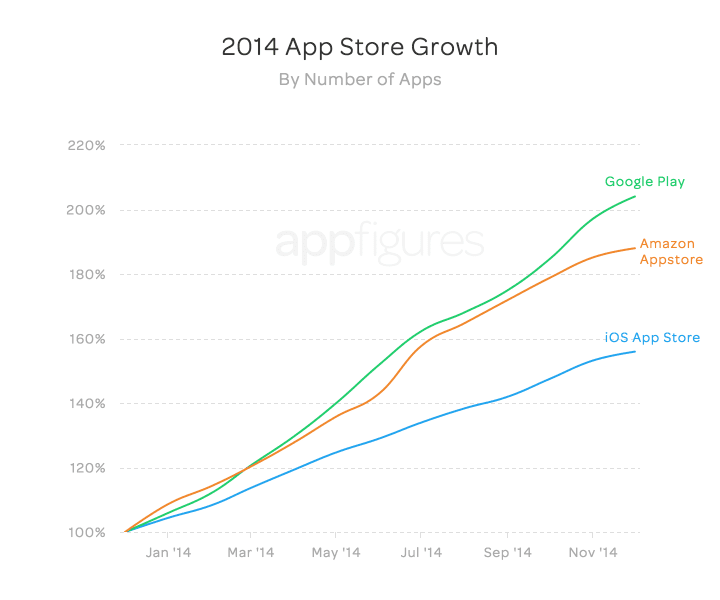 Does it bode well for the Android growth, that the ecosystem supporting it is continuing to grow as well? That's the way I look at it... a device is great, but what makes it better is all the background and supporting ecosystem apps. That's why Windows Phone is struggling, Blackberry is crumbling and other options like FireFox or Tizen will really have a tough row to hoe.